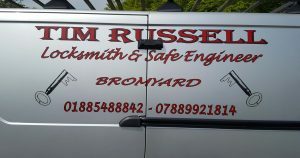 A few years ago I decided to put deadlocks on the side and rear doors of my van for added security. Felling this was enough, I felt secure when it was parked away from home. However, the new trend as most of you know is bending the top of the doors down to “Peel and Seek” what can be stolen and this has now reached epidemic proportions around the country. 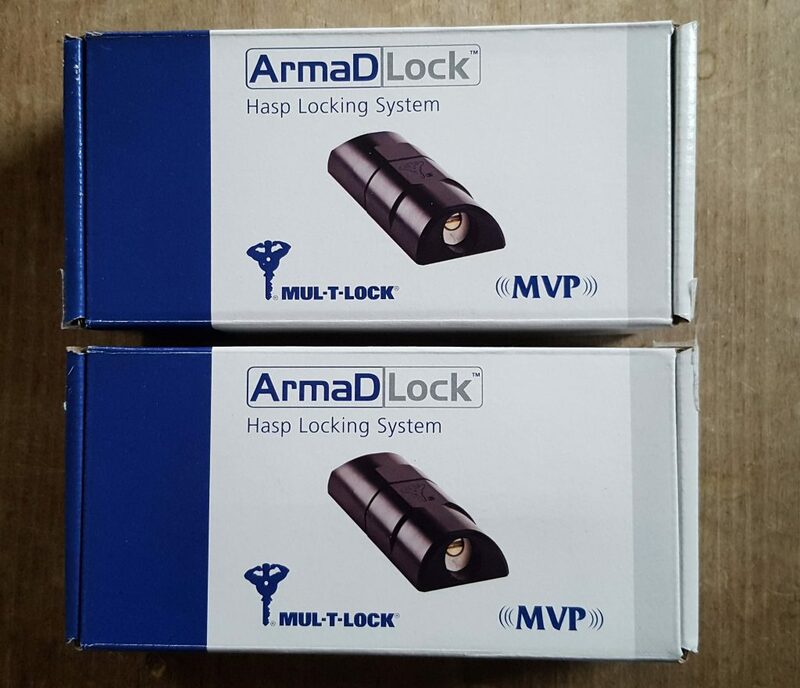 I, therefore, decided to upgrade my doors with the ArmaDlocks from Mul-T-Lock as this seemed to offer the strongest and best solution to this problem. There are no fitting instructions that come with these but a YouTube Video explains all in great detail. After watching this a few times and also during the fitting process I decided to proceed. I fitted the rear door one first which is fairly straightforward. However, I have a Renault Traffic van and there are box section ribs where the bolts go through so you need to drill a 20mm hole in them to get the washers and nuts through to secure as per the Video. Next was the side sliding door which on the Traffic was not quite as simple. There was no problem fitting the lockbolt part to the side of the van panel but to fit the receiving part was another issue. On drilling the 5mm holes which you mark out for the fitting of this second part on the actual door I discovered that you could not get to the box section on the door to drill the 20mm holes and fit the bolts. Urrgghhh what to do ?. So, no way back I removed the side door from the van. This only took 5mins to do but needed help to take off due to size and weight. There may be an easier way to do it that I don’t know of for this make of van but this worked out better for me with the door off. It was then easy to fit the unit to the door and put back on the van. Around 20mins total. All in all a good job done with only a little bit of swearing but there are just a few things to mention. Measure twice and drill once as this needs to be accurate fitting and take your time with it. Do not rush the fitting. Doors need to be flush and level fitting. Always carry a spare key somewhere on your person. This is because if you leave your van keys inside the back of the van and lock the door with these fitted, you can’t get your keys back and are locked out. If, as someone has said to me you are in a bad area then someone could come along and lock you in the back of the van while you are working, but there is a solution to that. If you think this could happen where you are, just open the door and push the ArmaDlock bolt out. This then prevents the door from fully closing so there is no risk of it happening. Finally, each make of van is different. 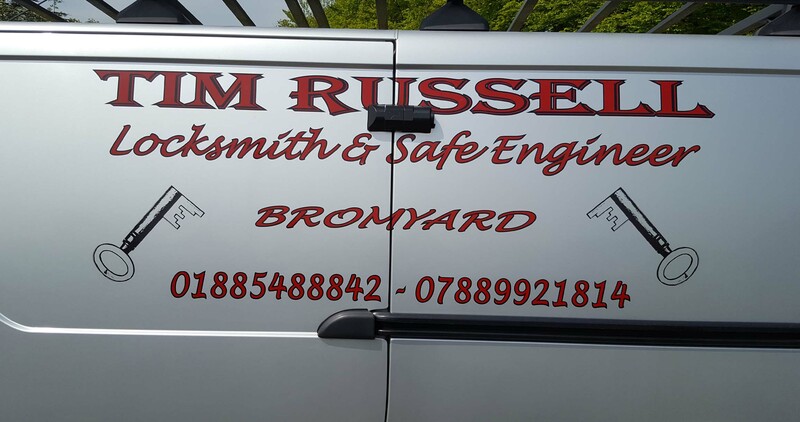 So fitting time and difficulty will depend on your particular van and I can only comment on the van that I have but these are great locks and worth the effort to get your van more secure.